Interested in finding out about special promotions for your special Amelia Island Plantation vacation? 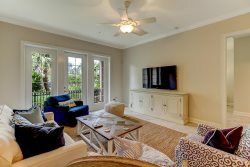 We offer a variety of Amelia Island Plantation vacation rentals specials throughout the year to accommodate all budgets. From seasonal specials, last minute deals, and a multitude of other discounts, everyone has the ability to enjoy the beautiful and relaxation offered from Amelia Rentals. BOOK TODAY TO RECEIVE THESE SPECIAL RATES!!!! Make a reservation for any dates between April 23, 2019 - May 23, 2019 and receive 15% off your stay! Not stackable with other promos. Excludes holiday and special events. 3 night minimum. Click Here to view all of our properties! 20% Off 1829 Turtle Dunes! Book and stay between now and May 31st to receive 20% off your stay in 1829 Turtle Dunes! Plus taxes and fees. 10% Off 1869 Turtle Dunes! Save 10% on your stay in 1869 Turtle Dunes this summer! Excludes holidays and special events. Plus taxes and fees. Stay in 209 Sailmaker this summer and save 10% off! Excludes holidays and special events. Plus taxes & fees.